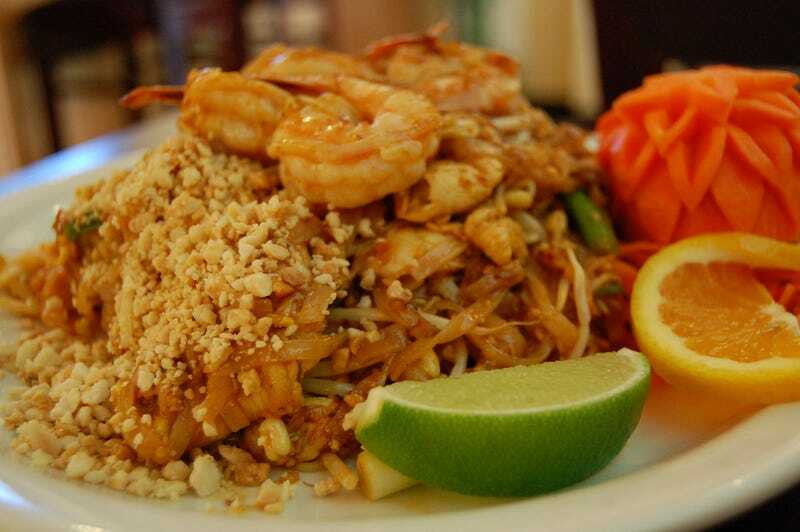 Is the food at your neighborhood Thai place authentic? Thailand wants to know. The country is set to unveil two robots designed to evaluate whether traditional Thai dishes like pad thai, green curry, and massaman curry have been prepared according to government-standardized recipes. Yes, really. Dr. Krit Chongsrid, who developed the robots, told ABC News the biggest challenge was syncing the taste analysis to the smell analysis. "There is a 5 to 10 percent error probability," Chongsrid said. The first robot is called e-Delicious, according to a report provided by the NIA to ABC News. The machine, equivalent to a human food critic, is composed of an electronic nose made with 16 gas sensors and an electronic tongue made to detect sweet, sour, salty, bitter and umami (meat or savory) flavors. The second robot is called ESenS according to the same report. It's a smart application on Android, the size of a printer, that uses micro-sensors to compare samples to an existing database of recipes. According to The New York Times, the machines evaluate food by measuring its conductivity at different voltages. The machines took Chongsrid's team about a year to develop, and the researchers hope to produce at least 100 more. Thai businessman Nakah Thawichawatt hopes to commercialize and sell the robots for $18,000 a pop. There are currently 11 standardized recipies. The thai government, and its "Thai Delicious Committee" have plans to approve ten more in the near future. Thais, who can establish an immediate bond discussing where they will get their next meal or the merits of particular food stalls, complain that Thai restaurants overseas cater to non-Thai palates by pulling punches on spice and not respecting the delicate balance between sweet, sour, salty and four-alarm spicy. Ingredients like fresh tamarind, Thai limes and galangal, an aromatic root similar to ginger, are not readily available overseas, and the substitution of inferior ingredients frequently yields a dish that a Bangkok gourmand might describe in the Thai vernacular as "food even a dog would not swallow." Add to that a soupçon of culinary chauvinism, which holds that authentic Thai food can be prepared only by Thais, usually, Thai cooks say, those who absorbed their cooking acumen tugging on the apron strings of their grandmothers. "There are many Thai restaurants all around the world that are not owned by Thai people," said Supachai Lorlowhakarn, an adviser to the National Innovation Agency, which is in charge of the Thai Delicious program. He added, almost apologetically, "They are owned by Vietnam or Myanmar, or maybe even Italian or French."